"Sharing the Wealth in Traffic Safety"
Registration has begun! To Register please go to the Conference/Membership Registration page above to register and the Store page to pay. Andy will address the importance of parent driving habits and the effect that they have on their children. 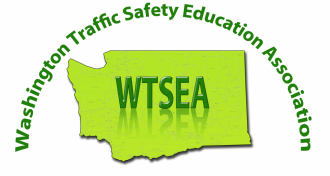 Chuck Filippini (WTSEA Board of Directors, Spokane Representative), will be offering a First Aid Certification workshop worth 4-clock hours, during Friday’s Pre-Conference.